I recently introduced the contributor here. I’ll further generally describe this contributor as a former (pre Katrina) mid level employee of one of the various local governments in the metro New Orleans area that is now a private citizen. In other words way outta the game that unfolds before us today. 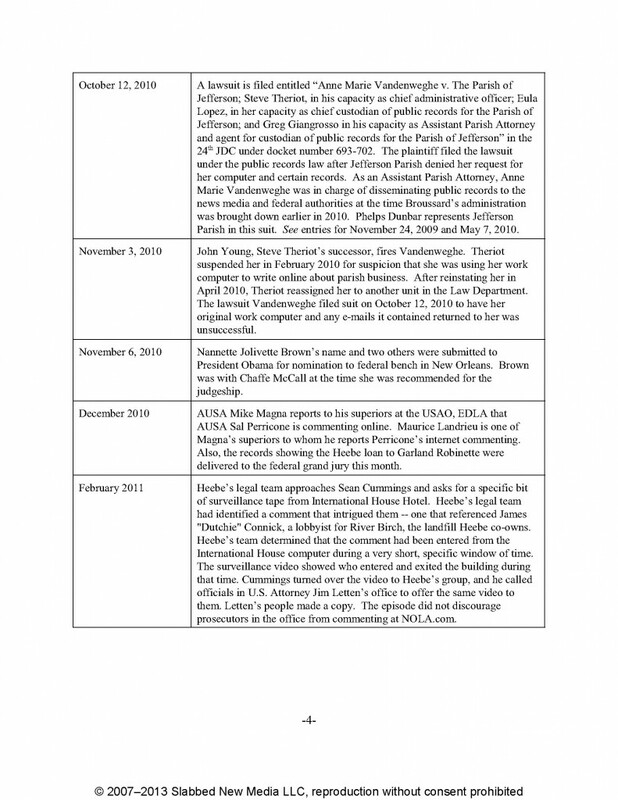 This person, with the help of reporting by the Times Picayune, Slabbed, American Zombie etc has put together the beginnings of a timeline of the corruption scandal that I now share with you today. T.J. “Butch” Ward, Parish Councilman and brother to Albert “Jim” Ward, Fred Heebe’s stepdad. As society moves online all sectors of the economy must recognize that the consumer has permenantly changed. The voting public is no different. 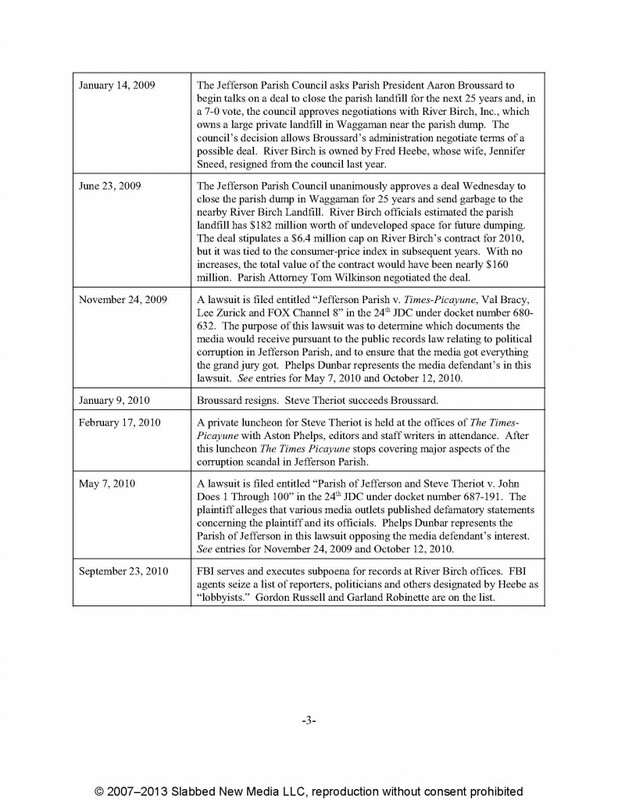 They now have access to a lot of information which brings to light how their elected officals serve them. Political parties must change to meet the needs of the voting public. You cannot take the same model used 15 years ago and slap it up on the net. Transparency, honesty and elasticity in services provided are the new building blocks of public service. 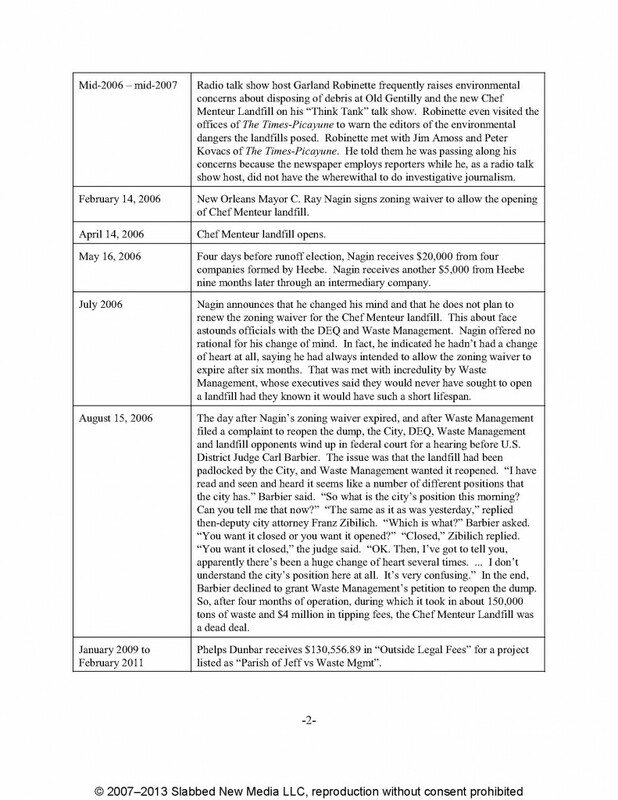 Public corruption once limited the marketplace of candidates for public service to those who were willing or even eager to engage in raiding the public funds with little focus on meeting the needs of the voter. The deck was stacked against the voter as all social institutions were perverted by those in power to favor the graft at the expense of those who wanted government to function more in favor of the public at large. Honest citizens were forced out the political field. What we are seeing is a shift of power back to the general public and away from political systems which operate for the sole benefit of the elected officials and their connected supporters. This is all good. What is needed now is the purging from the ranks of the political parties and elected office those individuals who seek office for their own gain with little or no regard for the general welfare of the public. I believe the biggest change is yet to come. This change will be the entrance into the political arena of a new more honest and transparent public servant. There are plenty off people capable of such service. To date they have been forced out of the system because of the disempowerment of the voter by elected crooks. The more honest types now have a chance to run, get elected and effectively serve without corruption. This is the goal. —side note. 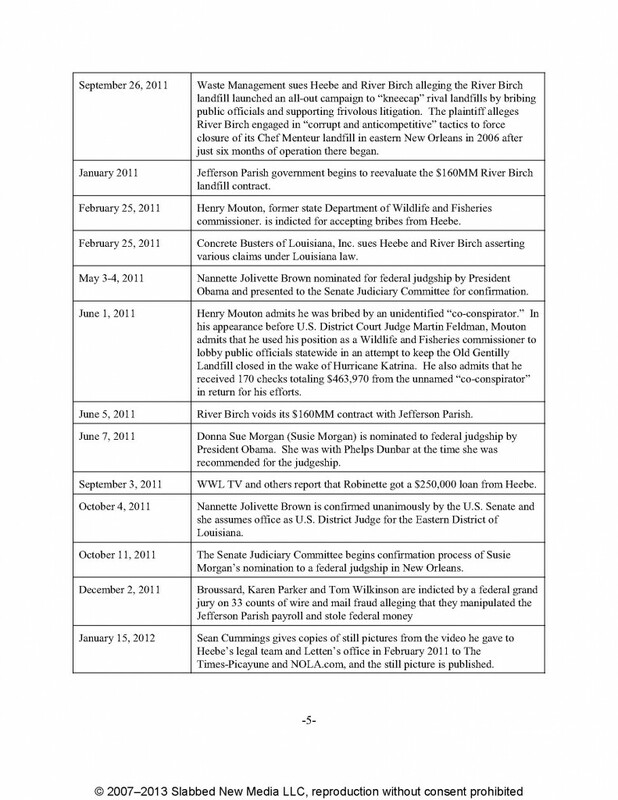 Until Broussard stops injecting himself into the federal governments investigations either directly or via proxy he should be housed in a max security facility and not allowed to receive donations to his prison ministry he has stated he wants to form. 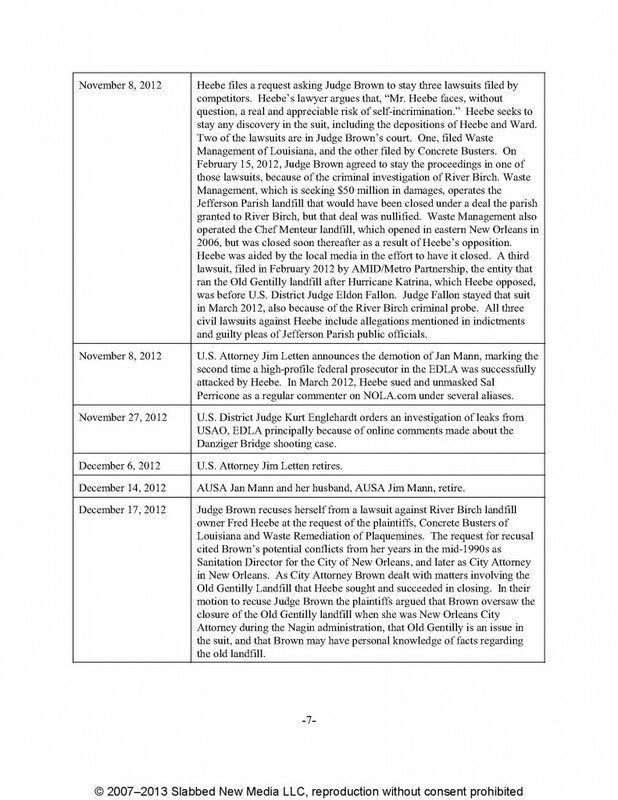 It hurts the effort to reform public corruption to have Broussard continue his life of crime even when the fed’s have him in their custody. Colorado has a fine federal prison and his placement there would help isolate him from the community he still preys upon. I’d like to acknowledge there are problems with the above timeline. A few dates are off, nothing major though. 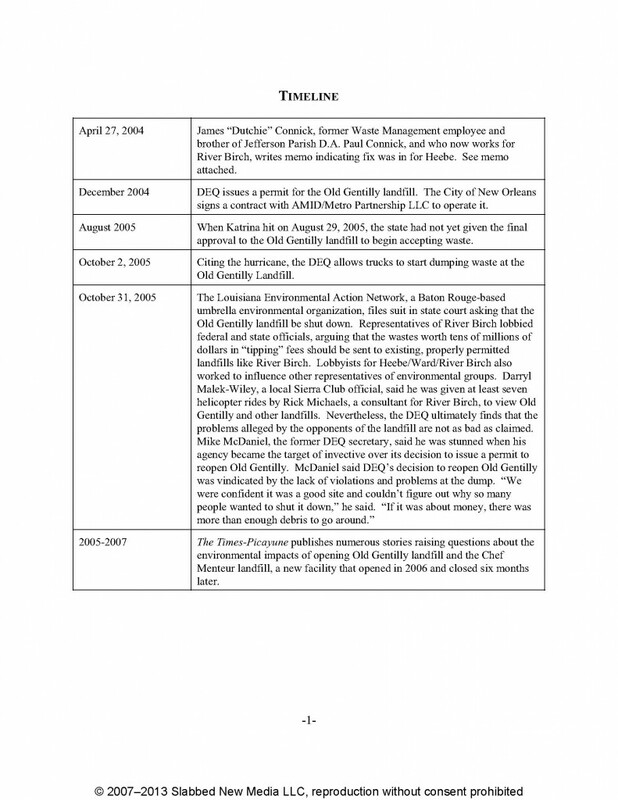 Also some of the text was taken from the NOLA.com Landfill series that ran last fall and it is not attributed. 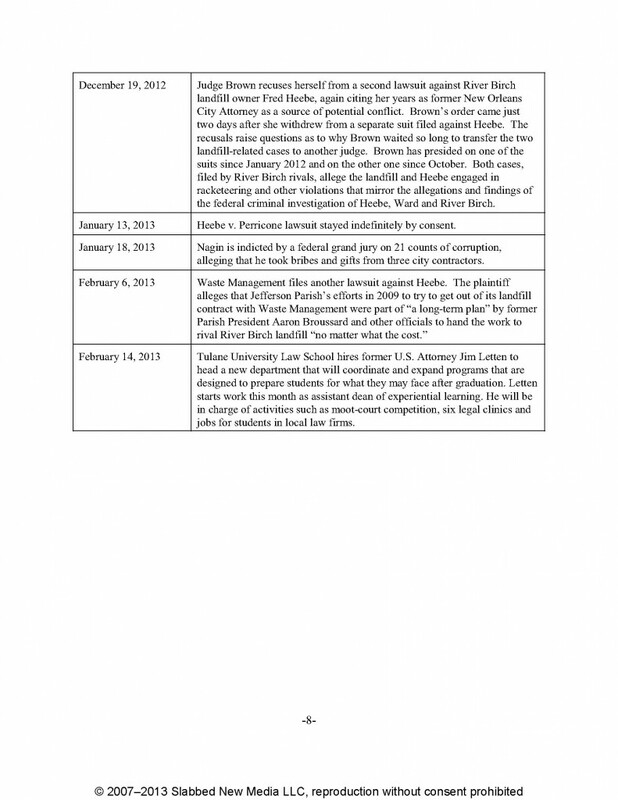 These are stylistic matters that are important that will be fixed with the next expanded rendition of this timeline. I’d like to thank my readers that took time to email me pointing these things out. 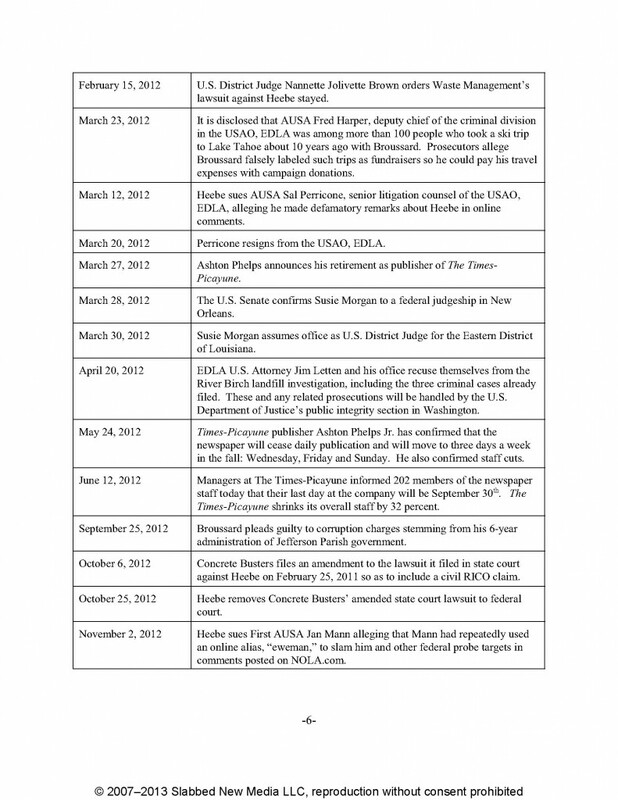 Next Next post: Live from Aaron Broussard’s sentencing…….